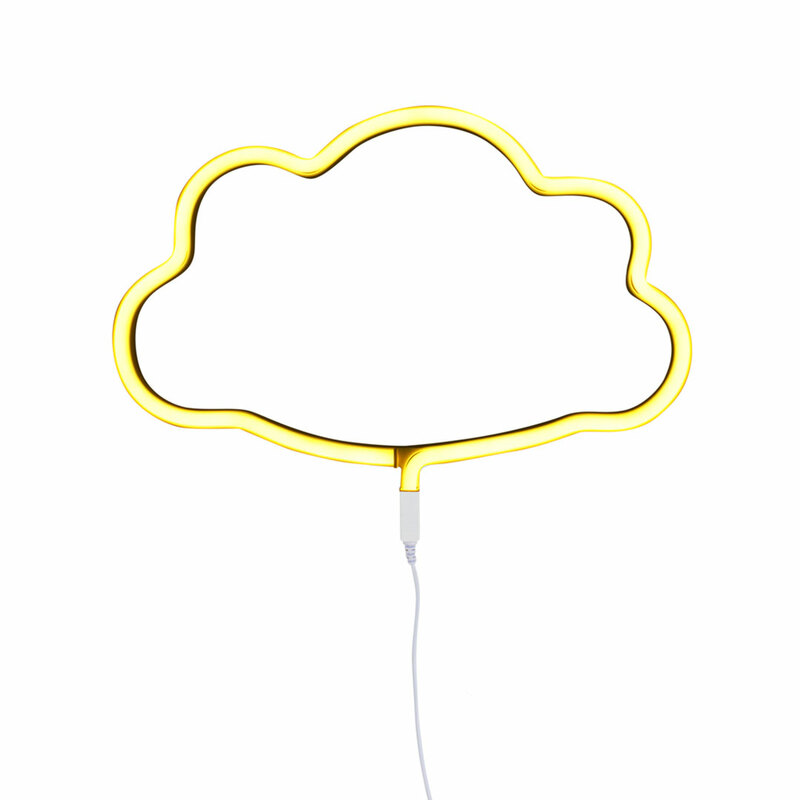 The LED Cloud Neon Style Light – Yellow by A Little Lovely Company is a fantastic addition to any kids room, guaranteed to delight all ages. 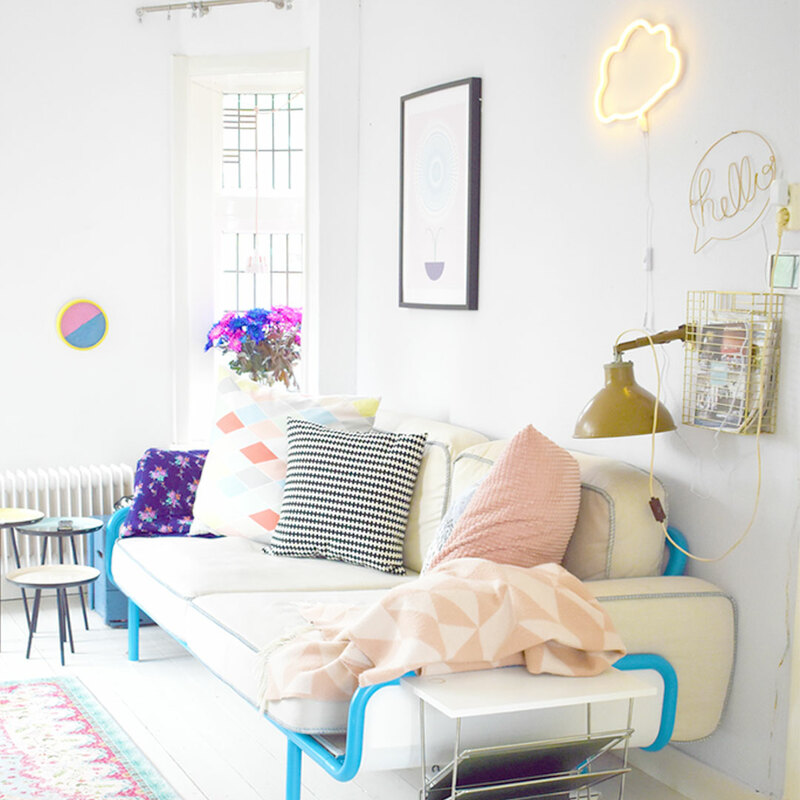 This super trendy neon style light will cheer up absolutely any space. This LED light is a much more energy efficient and durable version of the popular neon light. 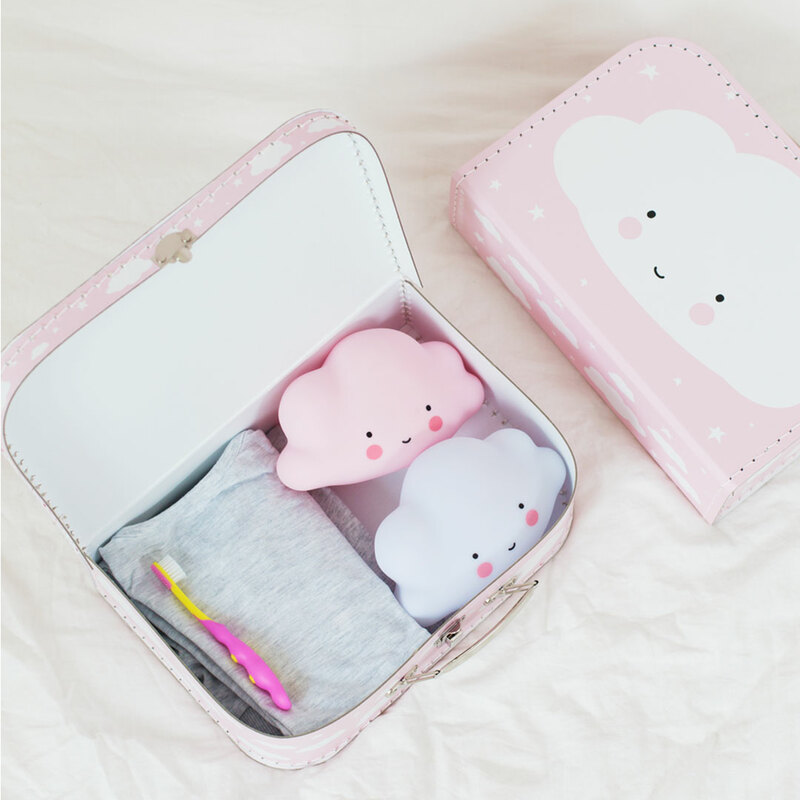 It is made of child-friendly plastic and can therefore safely be used in kids rooms. The light is gold yellow when unlit and a happy bright yellow when illuminated. 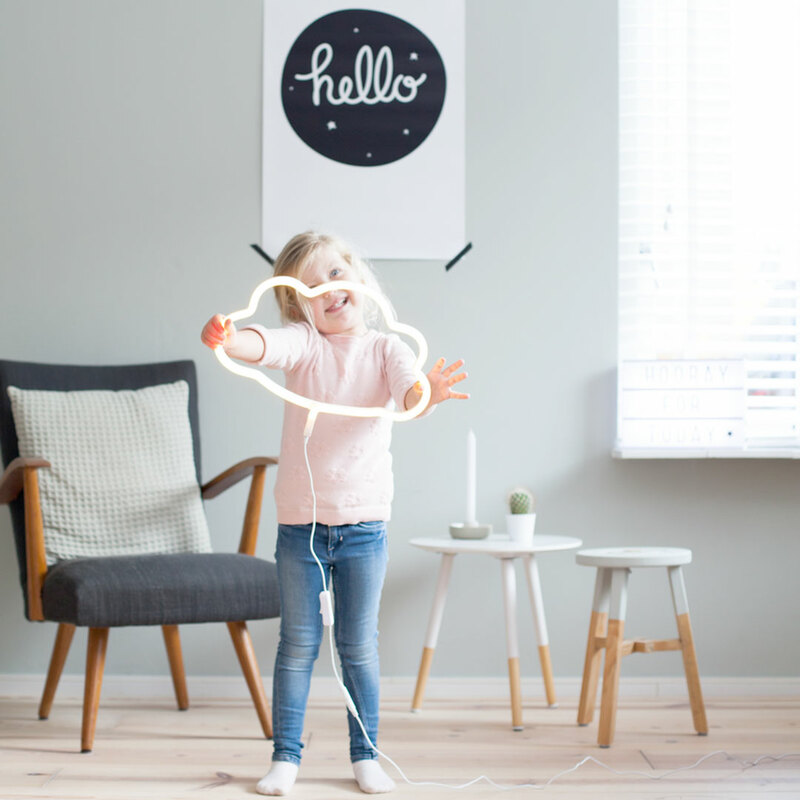 The light operates with a built in adapter and an ON/OFF switch, and easy to hang on the wall. 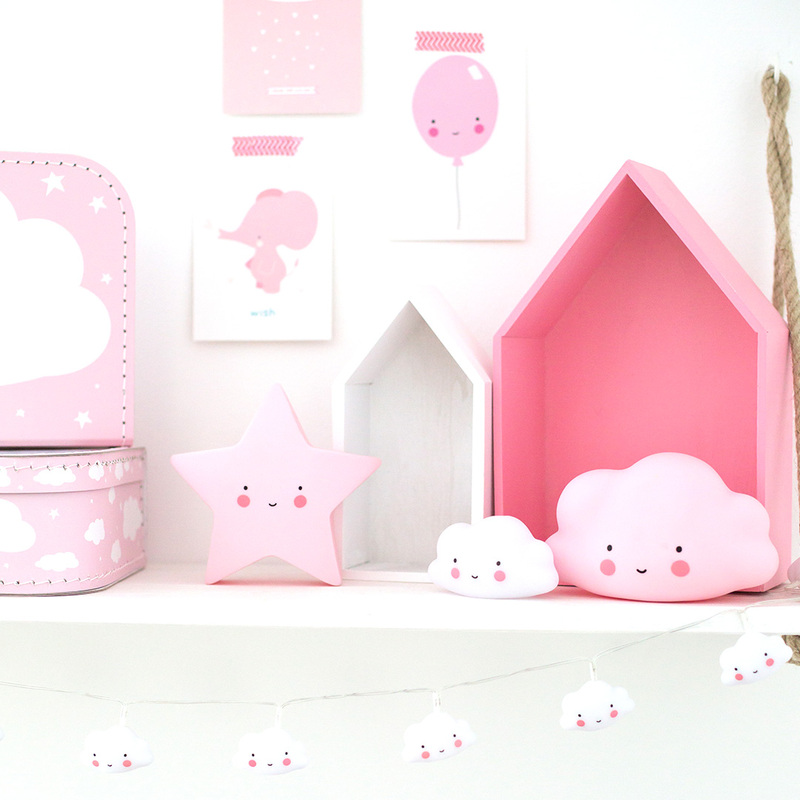 Complete your cloud themed room with the rest of the adorable cloud collection by A Little Lovely Company.